Meet our 164 brilliant teenage musicians that hail from all corners of the UK. You can discover their unique stories on our webpage - find out what orchestral piece they’re dying to play, or why they think all teenagers should listen to classical music. These committed and creative musicians are ready to take on a very thrilling new year that includes three residencies with inspirational music directors, eight major concerts, live broadcasts on BBC Radio 3, and reaching young audiences through our partnership with Classic FM. They’re first looking forward to our Winter Concert Tour with conductor John Wilson, performing Rachmaninov’s Symphony No. 2 in Nottingham, Birmingham, and London at the Royal Festival Hall as Southbank Centre’s Associate Orchestra. We’re extremely excited that 2017’s orchestra is more diverse than ever with 21.9% non-white British musicians - 7.3% above the national population average and up 4.9% from last year. Also, 28 of the NYO Musicians have come through NYO Inspire, our programme aimed to increase diversity in classical music and provides breakthrough musical experiences for committed musicians from state schools. 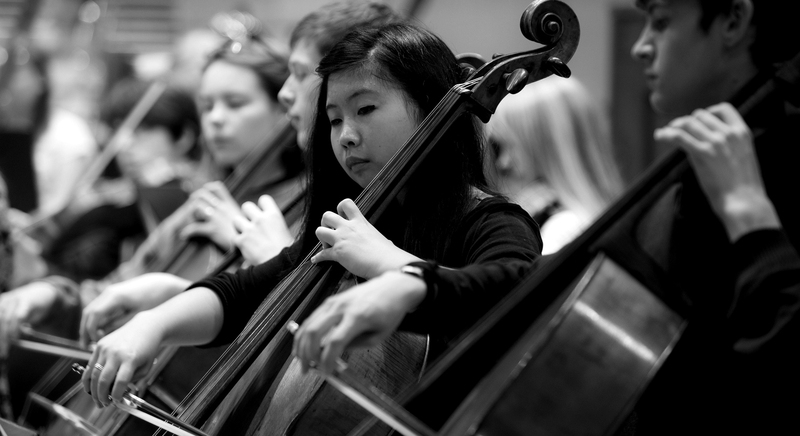 Over the past decade we’re proud to say we’ve moved from 35% to 51% state school musicians. If you’d like to learn more about the Orchestra, here’s our official press release.